Spacious & Luxurious Gulf Front Condo ~ Spectacular Views of the Gulf!! Enjoy the luxurious style and comfort of this charming 2nd floor 3-bedroom condominium that features wireless internet service and free USA long distance phone calls.You know you have arrived when you enter the gate of this palm tree lined community. Follow the cobblestone street through the cluster of courtyard homes to the gulf-front condominiums. Relax by the pool or play golf at a nearby course. Simply paradise! * Pool heated seasonally (call for dates). * Four (4) night minimum off season. * Parking for 2 cars only. This condo is wonderful and is perfect for my family and friends. We come here every year and specifically request this place - gorgeous view, easy access to restaurants and very comfortable. Highly recommend! What a wonderful location to wake up and see the blue water every morning. A few notes of interest, the Condo is very dated with respect to decor, functioning kitchen ( coffee Pot needs to be replaced and the utensils were either broken or such low caliber they couldnt do the job) mixed matched dishes and serving pieces. All of the mattresses were old and so uncomfortable it was challenging to get a full nights rest. No real linens on the bed..it was either the dirty bedspread ( which we all know so well) or the thin over used blanket to cover up with at night. All of this said, you are on the beach. It would take little effort to bring the Condo into the modern age which we all hope we are paying for at this price. 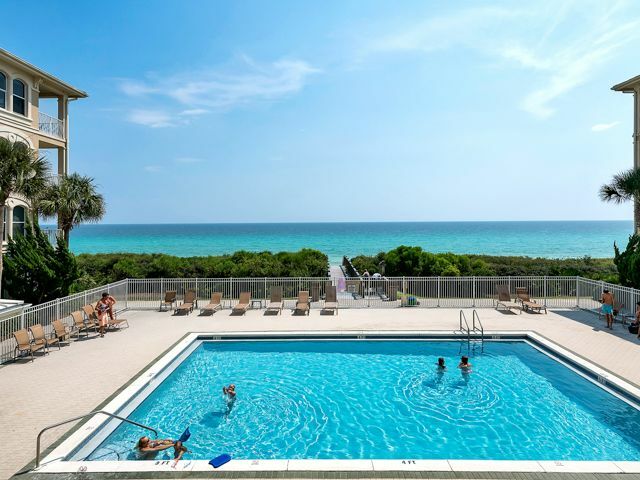 This is my first time with Garrett Realty, and I would suggest a little concierge service is in order..like having the keys available at the condo complex and not 10 miles down 30A, only to return them 7 days later. I would even pay for that service.